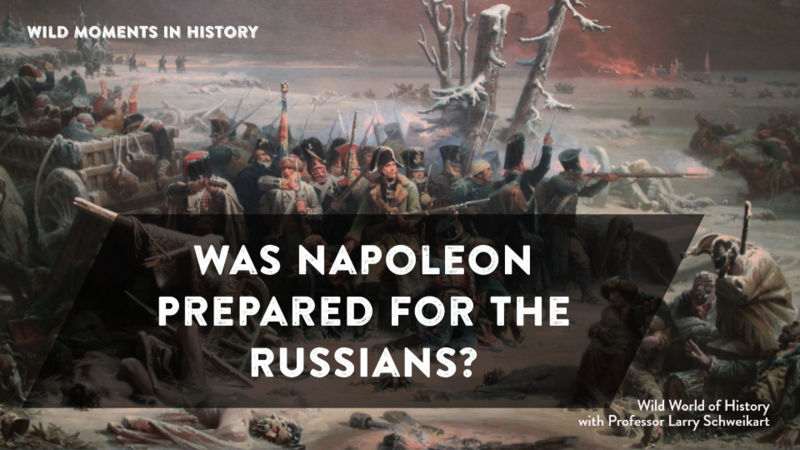 Did you know that Napoleon was well prepared when he invaded Russia? It’s often portrayed as though Napoleon Bonaparte, who invaded Russia in June of 1812, had failed to grasp the scope of the operation before him—that somehow he was fooled into thinking a Russian invasion would be easy and failed to plan appropriately. Napoleon read every possible book on Eastern Europe and Russia, scoured every possible map, and knew that his troops would face great heat and cold. He looked at histories of previous campaigns against the Russians, and therefore planned to increase the size of his army by almost threefold. Napoleon actually began his preparations for the Russian invasion two years earlier, by arming and training key German and Polish fortresses, building up his corps of observations in the East, and most of all to develop an adequate supply system. To handle the challenge, he formed 26 transport battalions, four with 600 light carts and four with 600 wagons each. He assembled vast herds of cattle. Instead of using horses to pull wagons, he substituted oxen. As the army ate through rations and loads got lighter, oxen could be slaughtered for food. He began with 200,000 animals over and above the 110,000 horses in the artillery or cavalry..
Boney also assembled a fleet of 100 river boats to advance supplies closer to his line of march. But even these preparations were insufficient for the scale of Russia. Napoleon said “with such resources we shall devour all distances,” but the size of Russia instead devoured him. Read more David Chandler, The Campaigns of Napoleon.